Used for cable entry on our rotary isolators. 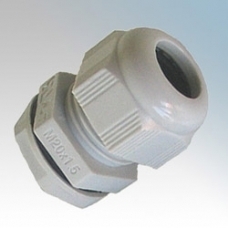 Pack of two 20mm cable glands with lock nuts, these are used to provide a waterproof cable entry to our rotary isolators. Good practice guide - Always use the knockouts on the bottom of the rotary isolator for cable entry.